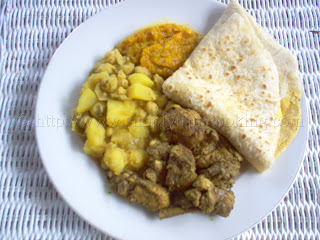 What is a good dhal puri without a little curry chicken at the side? That’s the question I asked myself when we were making the dhal puri. So I decided to make some, since I didn’t post that recipe as yet. So here it is nice and simple; so simple, I nearly didn’t think of it as a recipe to post, but then, what is second nature for me may not be so with someone else. I always have to remind myself of that. 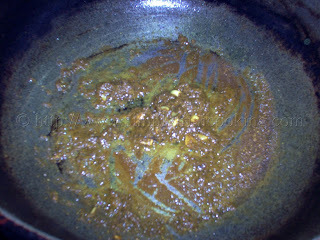 You may have to excuse some of the conventions I used for the recipe because I used the chicken parts that come in those little trays, and then I separated the ingredients because I had to season the meat first. This will give you an idea of how we season the meat before currying. 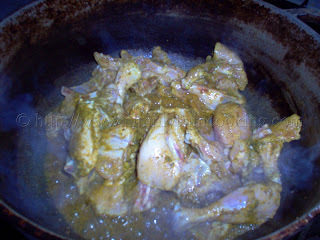 I hope you enjoy this simple recipe for curry chicken. Cut the chicken into small pieces. Season well. 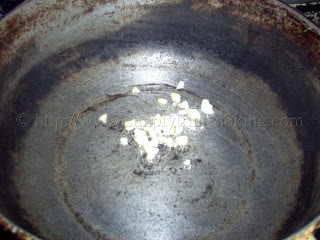 Heat oil and add the garlic. Mix 1/2 tbsp. 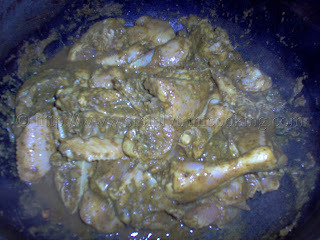 curry powder with 1 tbsp. green seasoning*, 3 tbsp. water. 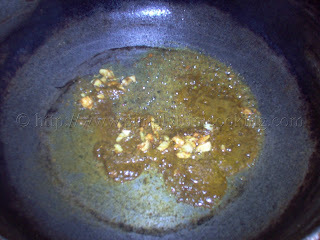 Add to hot oil and cook for approximately 2 minutes. 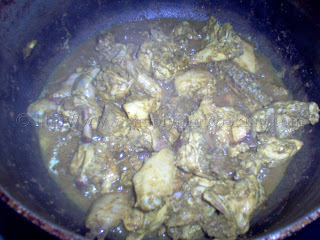 Allow to curry to reduce to a thick paste. Add the seasoned chicken to the pot. Stir to coat with the curry. Add water. Add salt and pepper to taste. 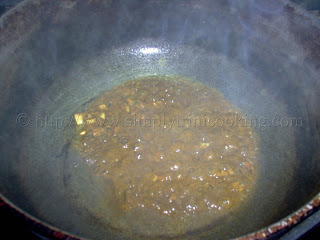 Cover and leave to simmer for about 20 minutes or until tender. Check the water level in the pot occasionally. You don’t want the water drying out before time. 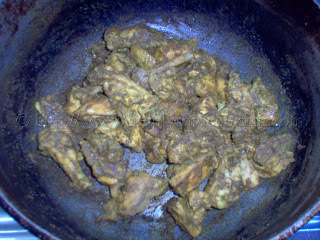 Here we have the finished curry chicken. you could leave a little water for sauce. See how simple it was. The curry chicken is now ready to go with the dhal puri. That’s it for another post; see you soon. 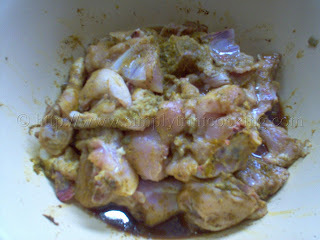 This curry chicken recipe is easy & the taste is AWESOME!!!!! I discoved your website not to long ago and now, I search this web everytime I need some thing for breakfast, lunch or dinner. Thank you & continue adding more great recipe for us to cook. It would be great if you could put your lessons on you tube. Great recipe, made for dinner tonight – everyone loved it.